For real estate professionals, a website has become a necessary tool for industry survival. Yet, the process of building a website can be expensive and time-consuming. It’s little wonder that so many real estate agents and brokers never get around to building a website, or have one that does live up to its full potential. A new platform is now providing real estate agents with the opportunity to have a fully customizable website. With the new platform, agents can build a fully customizable website, including custom single listing websites. The platform also offers a back office dashboard with the ability to track stats in real time. All features are provided for a single low monthly cost. Since the code for the platform was built from the ground up, there are no commonly used themes, such as those frequently relied upon by most other companies. As a result, real estate agents can avoid cookie cutter websites and instead take advantage of a boutique feel for their website, all without the cost. AgentImpress.me has also conducted extensive research, which indicates that as many as two-thirds of a real estate agent’s business stems from referrals. This makes the quality of a website even more important. 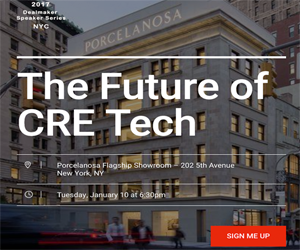 Thanks to the breadth of the platform, real estate agents can enjoy a wealth of features, including 3D tours, Walk Scores, Yelp integration, and more. Simple back-end integration ensures that everything is easy to use. With these tools, agents will find it fast and simple to build their brand. For example, the AgentImpress.me platform even offers shareable agent reviews. Additionally, agents can take advantage of the opportunity to include their own logo and color scheme coordination in their new customized website. Each visitor to the website will also be able to use an interactive map which provides all past, current, and upcoming listings. If an agent specializes in a particular neighborhood, visitors will be able to see that on the map, as well. Space is also included for an agent’s bio and story. There are no limitations, and agents can use as many words as necessary to explain their experience, skills, and why they are the right choice to help a client buy or sell a home. Featured listings are also included. Once again, no restrictions apply. Agents can include as many featured listings as they would like, including cover images, listing details, and price info. There is even a mortgage calculator provided to assist buyers in finding a home that will fit within their budget, available directly from the listing page. Interest rates are provided based on a property’s zip code. While the process of building a customized website has traditionally been time-consuming and expensive, AgentImpress.me offers an extensive suite of tools, handling everything an agent needs to build their online presence. As a result, agents have more time to spend on closing deals.